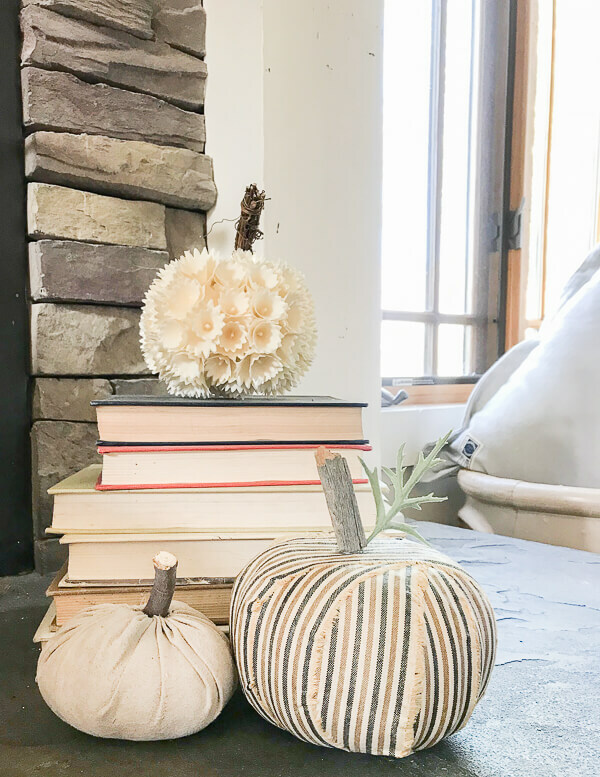 You are here: Home / DIY / 10 Minute DIYs / Transform Ugly Dollar Store Foam Pumpkins into Stylish Decor! 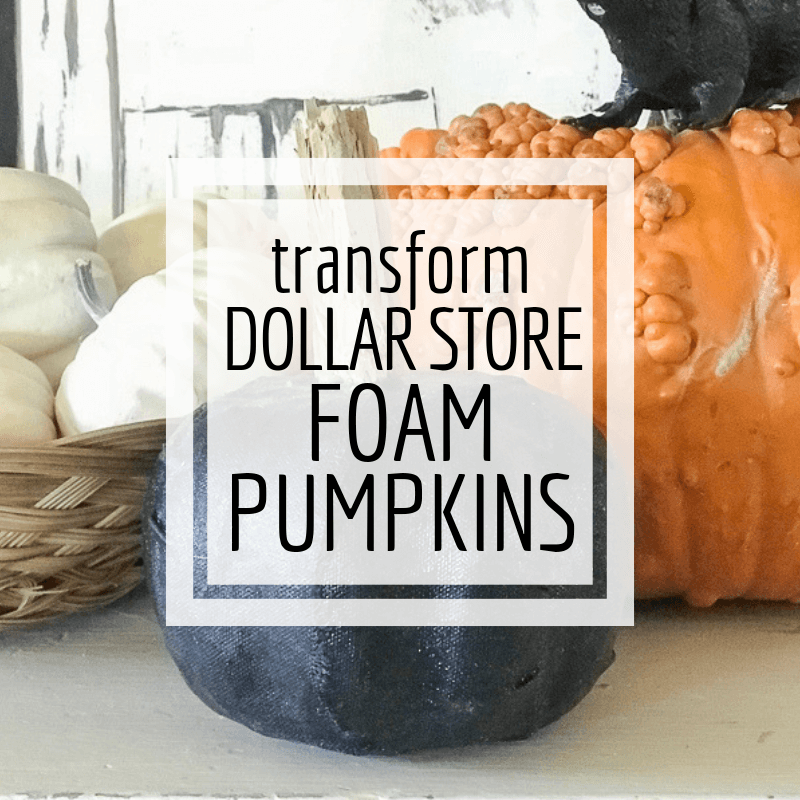 Have you ever stopped by a dollar store and noticed those foam pumpkins? They are inexpensive, and not the prettiest. 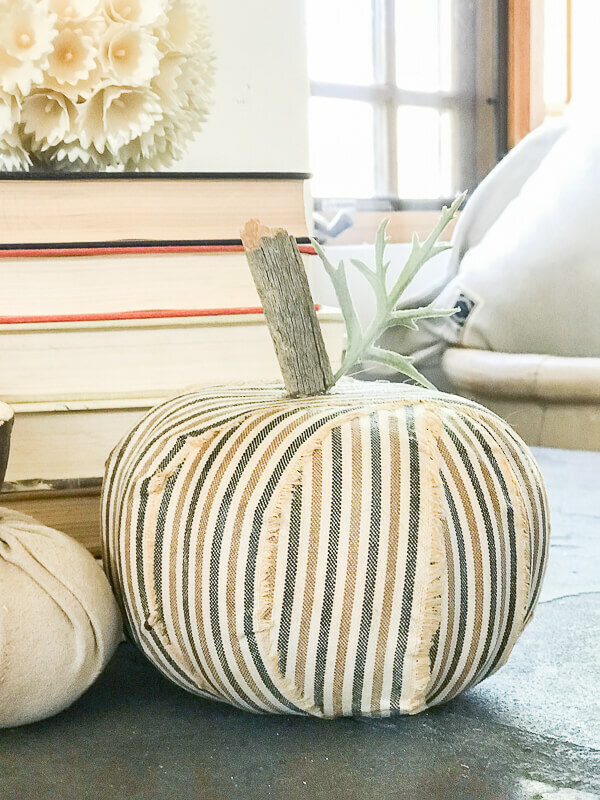 But, did you know you can transform ugly dollar tree Halloween pumpkins into stylish decor customized for your home? The other day I stopped at a local dollar store and came across those ugly foam pumpkins. I’m not trying to be mean, they just aren’t that cute, there’s not much to them, and they definitely need some customization. But, guess what that means? You can make it look any way you want. And that my friends is a wonderful thing. 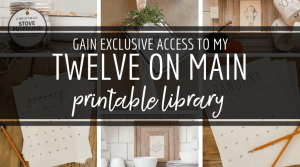 There is nothing better than getting creative and creating something just for your home. 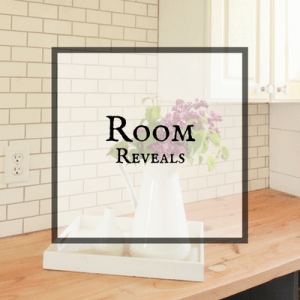 You wont have to see if you can make the decor fit your space. You can make it so that it works perfectly in your homes style. 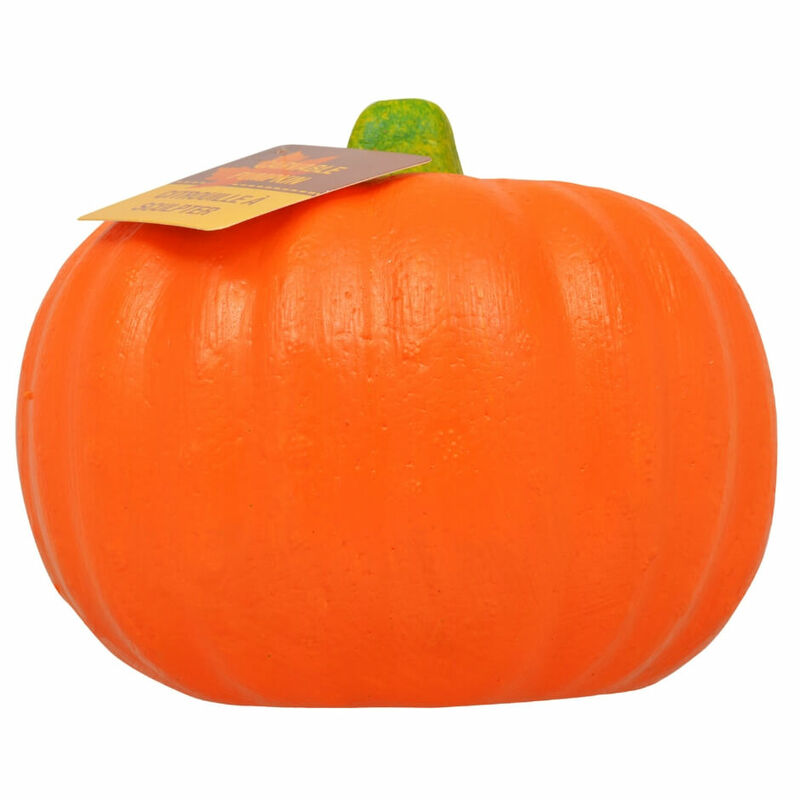 There are so many ways you can customize these foam pumpkins. You can paint them, dip them in glitter, take off the stem and replace it with something more realistic, or you can modge podge it with fabric or decorative paper. I chose to modge podge mine with fabric. Now, you can watch the video but I also wanted to give you a list of things I used and a quick description of what I did with my foam pumpkins. The first thing I did was cut my fabric in strips. All you have to do is clip the fabric and then tear the fabric strip. It will tear nice and straight. It makes getting strips of fabric really easy. Once I have my strips of fabric, its time to get started. I start by taking off the fake foam stem on the top. It is connected with a tooth pick of all things. You can definitely keep this stem there, but I like adding something a little more unique. 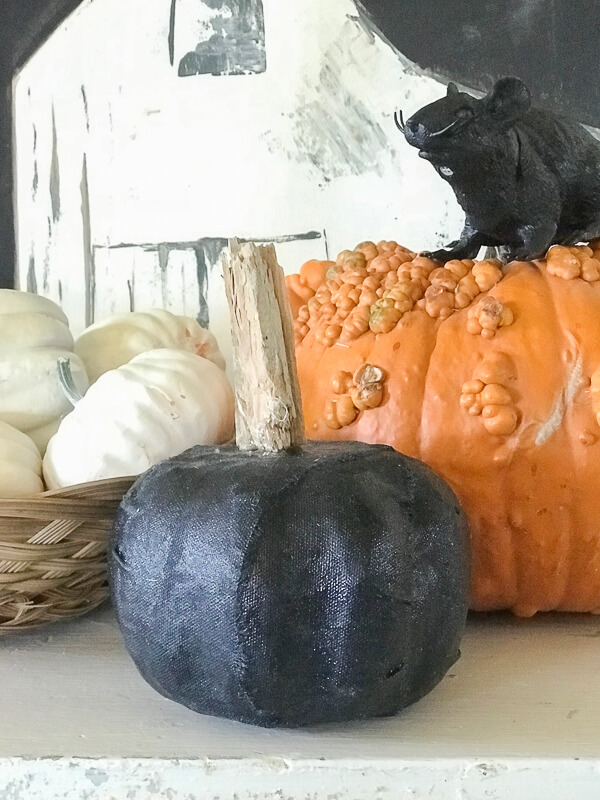 I wanted to add some small wood sticks as the stems for my foam pumpkins. You want to use the newspaper here. Its to keep your surface protected. I paint on a strip of modge podge all the way around the pumpkin. Then I wrap the fabric around the dollar store pumpkin on top of the modge podge and then I paint modge podge over the fabric, pushing and forming it to the foam pumpkin. I repeat this process all the way around the pumpkin, hiding the seams on the bottom of the pumpkin. Once you have the whole pumpkin covered and the fabric is saturated with the modge podge, its time to let it dry. After it is dry, you can glue on your new stem, whatever you chose to use. I chose to use some wood sticks I found in my wood pile. 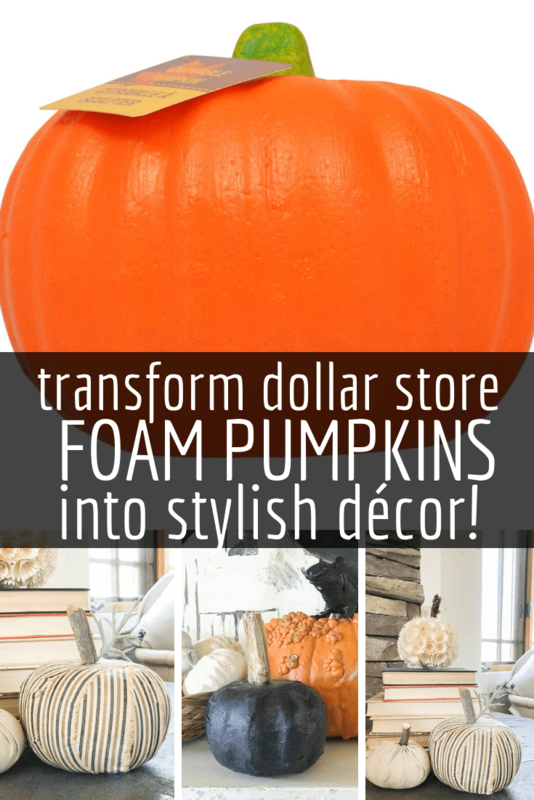 Foam pumpkins….who would have thought! These can be transformed into anything you want! Use them for Halloween or some simple fall decor…whichever you want. Something as simple as a foam pumpkin can give you the confidence to start another project…maybe one a bit more difficult this time. 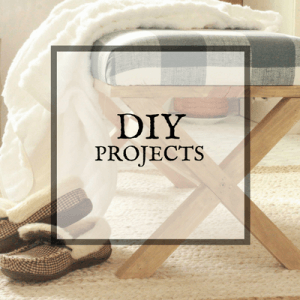 Slow and steady wins the race, and if you are wanting to start creating easy crafts or big DIY projects there is something valuable in a simple project like this. 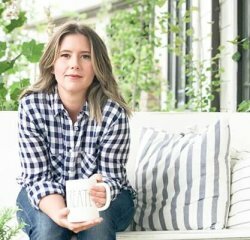 It teaches you a lot about how to handle a project, but also how you may handle yourself when you lose your patience or have to rely on yourself to finish the job. 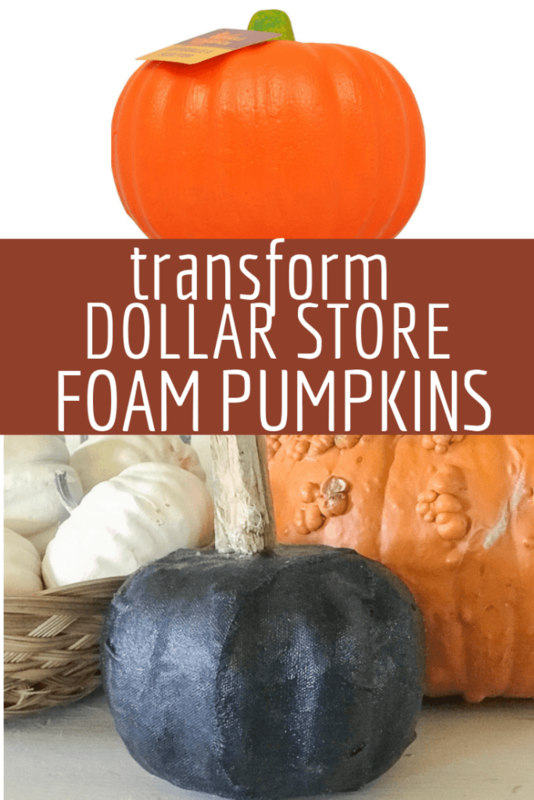 So, I think that you should go right now to the dollar store and see if you can find you some foam pumpkins and make your own unique Halloween or fall pumpkin decor. Its such a fun project. Make sure you save it for later or share it with your friends! Yeah, they look better with the stripe cover. How many days before Halloween? Maybe I can have the kids do something like this. What did you use for the off white pumpkin that looks like flowers? On the DIY dollar store pumpkin makeovers what is the flower one made with?? did you make / cut those flowers yourself out of fabric or some kind of material?? if not where did you get those I LOVE THEM.